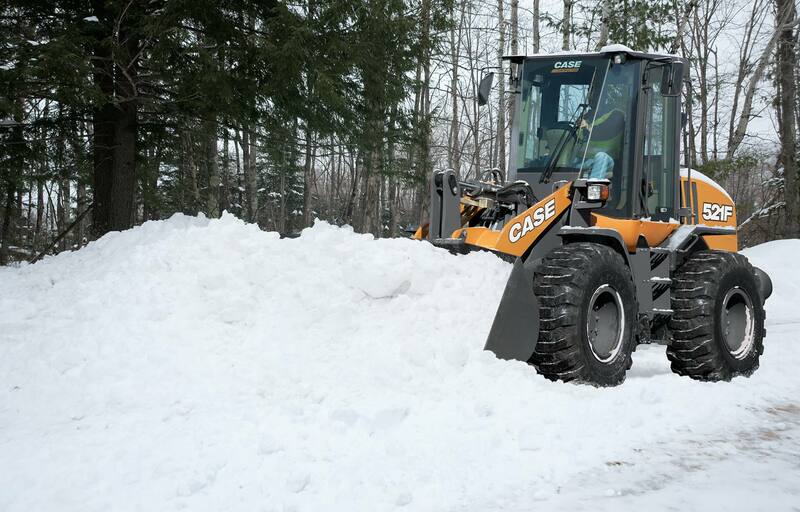 The CASE 521F wheel loader offers the simplicity of a Tier 4 engine combined with the traditional brand expectations of operator comfort, attachment versatility, and superior serviceability. 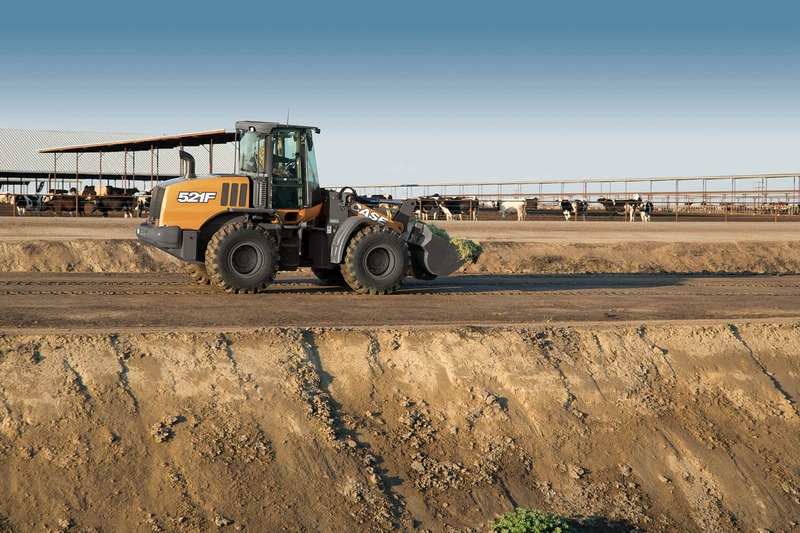 With a multitude of different attachments and top quality cab visibility, the 521F provides an advantage to any operator to get the job done faster and more efficiently. The use of SCR technology minimizes downtime while maximizing fuel savings. A powerful-and-efficient 4.5-liter Tier 4 Final engine delivers maximum power for different work modes, along with quick throttle response and massive torque. 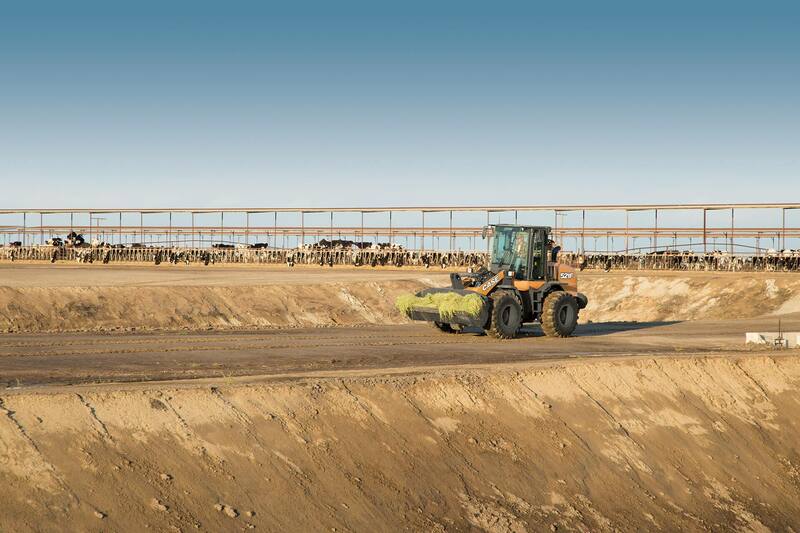 Operators can match engine output to the task at hand with four programmable power modes. The 521F is also available with XR (Extended Reach) linkage for a greater dump height and versatility and a XT (Tool Carrier/Parallel Linkage) for maximum utility, excellent visibility and parallel lift. 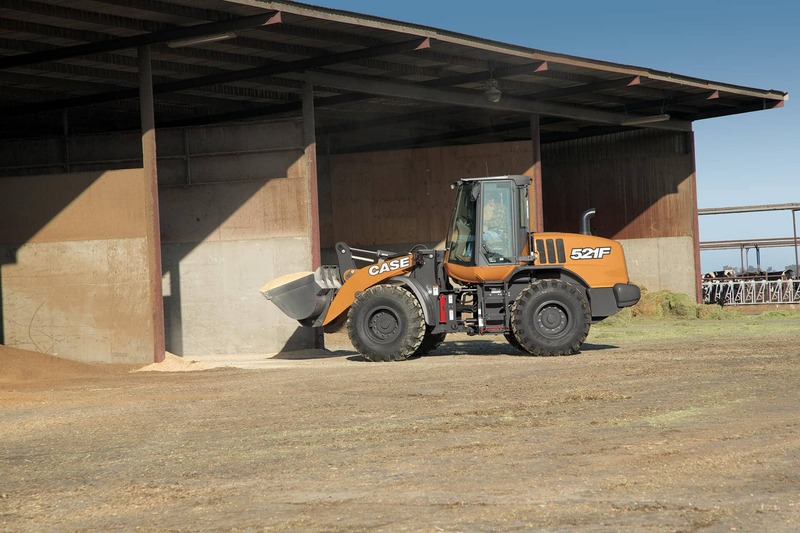 Because of idle-heavy applications and variable power demands, SCR (Selective Catalytic Reduction) Tier 4 Final technology is a superior choice for a mid-sized wheel loader. As an after-treatment system, SCR lets the engine run at peak performance, which provides faster throttle response while also maintaining lower temperatures and delivering up to 20% better fuel efficiency over other solutions. Economy is optimized even further with auto-idle and auto-shutdown features. Plus, SCR is simple. No Diesel Particulate Filter regeneration or replacement. No extra downtime. No extreme temperature spikes. Just pour a little DEF (Diesel Exhaust Fluid) when refueling and go. 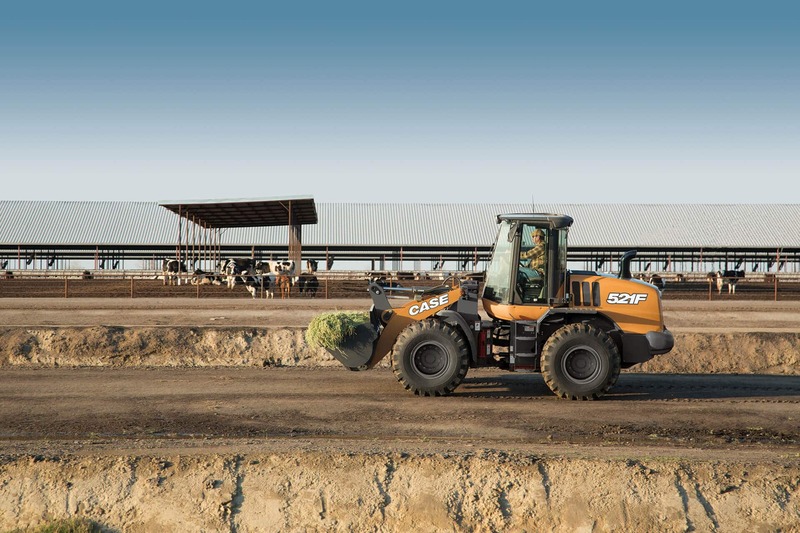 The 521F offers one of the industry’s quietest and most spacious cabs with class-leading visibility thanks to floor-to-ceiling windows, a low rear hood and an optional rear-view camera. Our ergonomic, state-of-the-art joystick steering helps reduce operator fatigue while an ISO-mount cab design, dual air filtration system and optional heated air-ride seat help provide daylong comfort. Routine maintenance is a breeze thanks to the mid-mounted cooling cube, ground-level fluid gauges and a tilt-up rear hood that provides complete engine access.